Mangaluru, April 08, 2015: On April 7, MLC Ivan D’Souza urged the State government to impress upon the Union government to relax Coastal Regulatory Zone (CRZ) norms to boost tourism activities in the coastal region. MLC D’Souza told the media that because of the restriction on construction of permanent structures within 500 metres of the high-tide line, tourism is curbed Karnataka coast line. While, CRZ norms had been suitably modified in the neighbouring Kerala and Goa and they are moving forward with increased tourism activities. Hotels, restaurants, resorts that support tourism do not come up near beaches due to the restrictions which is a negative point. He has made a representation to the State Tourism Department in this regard. The Karnataka Tourism Trade (facilitation and regulation) Bill, 2015, had been recently been passed by both the houses of State Legislature hope that once it became an Act, it would boost tourism activities in the region. 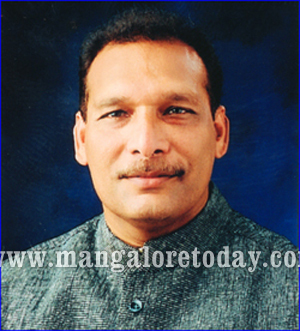 Kasaba Bengre : MLC D’Souza also spoke about the plight of residents of Kasaba Bengre in Mangaluru city. While it was declared a revenue village in 1995, only about 750 families had been given title deeds despite there being more than 3,000 families. About 1,000 houses were still to get electricity connection. Despite directions from the government, the city corporation was yet to grant title deeds to 2,250 families in the village. He urged the authorities to speed up the process in order to allow the families to get various government benefits. The district administration should take suitable steps to develop the Superstar Playground in Bengre. Kasaba Bengre is mostly populated by a minority community. It is right, in European countries it is less. River to make 50 Meters and Sea side to be 100 meters is right. Here India is copying western countries for rules. But they changed but we are keeping same.